The thing about growing up, is that suddenly you realize that life isn't as easy as you once thought. One second, you're a careless child, and the next, you realize that you have a thousand problems that you couldn't possibly handle. 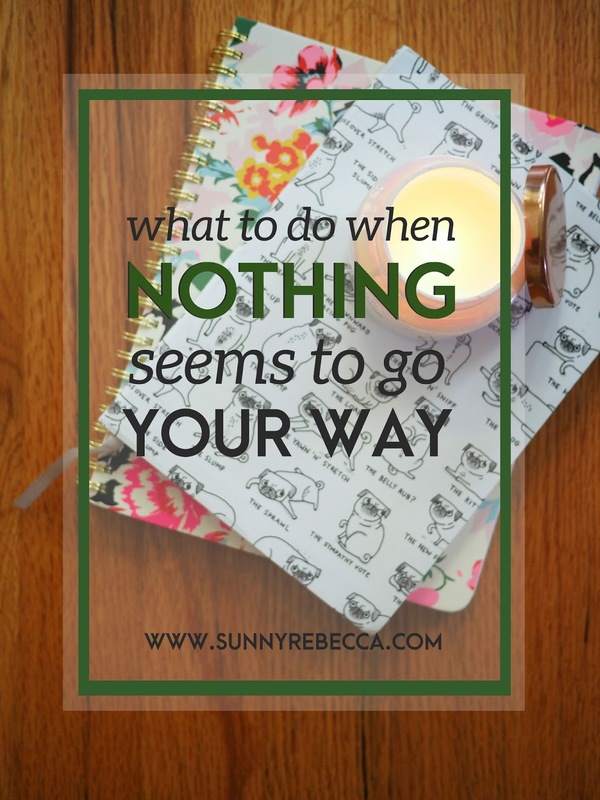 And you do your best to tackle those problems, but there are times that it feels like nothing you do is good enough, that nothing is going your way, no matter how hard you try. And it's scary to go through, especially as a young adult, because you feel isolated, like you're the only one that is going through it. Welcome to the second post of the Peter Pan diaries! If you didn't know what the Peter Pan diaries are, here's a brief summary of what the diaries are about. There are about a million times in my life that I've felt like nothing goes my way. One second, I'm working crazy hard, and the next second, I'm failing miserably. There are some things out there that I try my hardest at and somehow still fail. And it feels hopeless. It feels like absolutely nothing is going my way, no matter how hard I try. Some of the things that have hopeless to me have been blogging or in some of my tests. The blogging part can come as a shock I bet, but the thing is that I'm not always feeling happy blogging. There's nothing wrong with creating, most of the time I love it, but sometimes it feels like no matter how hard I try to make my posts creative and unique, it doesn't always pay off. And it hurts, because it feels like no matter how creative my post is, it won't get nearly as many views or shares as the next blogger, and I have no idea what I am doing wrong. It sometimes feel like I work harder than everyone else, not just in blogging but in other things as well, but even though I do, I still do worse than them. However, what tends to be one of my most hopeless, what never fails to make me feel like I'm worthless, is seating auditions. I play the cello, which I rarely speak about on the blog, but I wanted to make sure that people know the truth about some of the struggles of hopelessness. If you don't know what seating auditions are, they're basically like tests for instruments that tell place you in rank of best to weakest player. And I hate it, I feel like it just causes unnecessary competition and either boosts confidence or pushes it down. And for me, it dragged me down, for years. I was always the very last seat, aka the weakest player. And I would always try my hardest, not to even be the best, but just to be not last, somewhere in the middle. I would practice for hours every day just so I could be mediocre. And it never worked. And it felt like the people that were consistently in the front, the strongest players, rarely practiced, didn't put as much time or effort as I did. But then when I managed to make second to last chair, honestly that was a great day. Which in other people's eyes may seem pathetic, but to me, it was a victory. I guess that what I'm trying to say is that I too have gone through those moments when it feels like nothing will go my way, but you don't always have to feel that way. Sally is going through a rough time, she studied like crazy for her chem test, went to tutoring studied for hours, slept well, ate well, took great notes, but still somehow failed it. All her friends said that they thought it was easy and aced it. Her friends, after seeing their A-grades, turn to her and ask her what she got. She smiles and said that she did great. After that, she goes home, feeling dejected, and like she will never be good enough. At the same time, Jenny, an acquaintance of Sally, got a C- on her chem test as well, and also studied for ages, doing everything right. She hears Sally talking about how she got a great test score and also goes home sad, feeling hopeless. The thing about putting up a good front is that it carries on, it's a chain reaction. It makes other people believe that everyone besides them has it together, is going through life like a breeze, but in reality, it's not like that for anyone. The truth is, we're all going through the same ups and downs and when things don't feel like they're going right for you, it's important to know that other people are going through the same feelings. You are not the only one that feels hopeless, like a failure. Although it may seem like everyone around you is living a carefree, perfect life, they're going through the same struggles that you are going through. It starts with getting the conversation going. Being honest, being real. Being authentic in your failures and victories, being vulnerable at times. That is the number one key to helping out other people, getting the conversation going, and letting people know that they're not the only ones out there going through rough patches. That no one is living a carefree, perfect life. That is how you help other people. But what can you do for yourself, to feel better? To be less hopeless? Most of the time, it doesn't benefit you to instantly keep trying, pushing yourself, even though you feel hopeless. It'll leave you to feel nothing but more loneliness. The important thing to do is to refresh. Have a moment to stop thinking about whatever is plaguing you, think about something different for a change. If you're left constantly stressing about whatever you're worried about, then it'll do you no good. You need to take a break, take a breather, do something different for a change. Maybe that means having a party for one, maybe it means indulging in something that you love, maybe it means spending time with friends, whatever will get your mind off of it and help you find new motivation. You can return to your goals later, but sometimes there's no pain in taking a detour, as long as it helps you with your personal growth. two // talk to someone. Although at first, it may feel a little embarrassing to talk to someone about a problem that seems like it's only your own, but you never know what it could lead to. Sometimes talking to someone could b what helps you get your motivation back. Maybe talk to a parent, a friend, a teacher, anyone that you feel comfortable talking to. And sometimes it's okay to be vulnerable with someone, because they can help you work out your problem and remind you that you're not alone. Because sometimes it feels like you are, in reality, you have lots of potential supporters that can help you out. Let them know what you're dealing with and ask for their advice. They can help to console you, make you laugh, change your attitude, endless possibilities. three // get lost in a good book or movie. There's no better way to escape from your life than with a captivating book or movie. Take some time to stop stressing and escape your issues, even if it's just for an hour or two. When nothing seems to be going your way, the worst thing that you can do is dwell on it, because that will just amplify everything, make you feel even more hopeless. Sometimes it's just nice to get distracted for a while so that you don't make yourself feel worse than you already do. Who knows? Maybe you'll find new motivation and/or inspiration. Books and movies can have huge impacts on our lives, let them shape your life into a more positive aspect, so stay away from the depressing stuff. The young adult years can make it feel like these moments of hopelessness are unique to just us, that we're the only ones struggling, but we can defeat that illusion, let people know that failures are natural. That some days you'll have ups and downs are inevitable. So let's get the conversation going. Let's not make hopelessness something that we have to struggle through alone, because there are so many people out there going through the same emotions. If you're a brave soul, share a moment in the comments about how you once felt like nothing was going your way and what you did about it.